Icebreaker, the New Zealand outdoor apparel maker known for its merino wool, has opened its first Midwest store at 44 E. Walton Street in Chicago'’s Gold Coast. 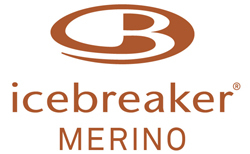 The Chicago store features Icebreaker's complete line of innovative merino wool apparel, including Outdoor, Run/Fitness, Underwear, Travel/Lifestyle collections and Socks and Accessories. A percentage of opening week sales will benefit Active Transportation Alliance in Chicago, a not-for-profit organization helping to build a movement around alternative transportation and Chicago events, encouraging physical activity. The Chicago store will debut a number of new interior design features that tell the Icebreaker story and engage shoppers. Upon entering the store, customers are met by a “mountain” display that demonstrates Icebreaker layers and key styles. New Zealand sheep stations, home to the sheep that provide the all-natural merino wool used by Icebreaker, served as inspiration for the materials and textures throughout the store. This includes the natural woods specified for the walls, fitting rooms and floor fixtures to the natural steel incorporated into the design of the tables. The store wall surrounds the interior with inspirational images from the Southern Alps of New Zealand, the source of Icebreaker’s merino wool. “We believe Chicagoans will love our brand new store format, which communicates our premium outdoor experience and connects people more to nature," says Moon. Two other new features include a library and a Community Board where customers and Icebreaker associates can share their stories of their adventures in the outdoors and around the world. The library includes books that are inspiring to employees of Icebreaker and Moon has submitted dozens of his own. Headquartered in New Zealand, Icebreaker was founded by Moon in 1994 and began specializing in merino selayer long underwear. The Icebreaker 2013 Fall/Winter apparel line now features over 700 items, from underwear to baselayer, first layer, mid layer, outer layer and essential accessories such as hats, gloves, scarves and socks. Icebreaker has ten other North American stores: Portland, Oregon (home of its US headquarters); New York City (SoHo and the Meatpacking District), California (San Francisco and San Jose), Montréal, Quebec and Vancouver, British Columbia (Kitsilano and North Shore). It has also just opened in the Washington DC area, in Bethesda, Maryland. The company also has two partner stores in the US with Vail Resorts, one recently opened in Northstar at Tahoe, and one in Solaris at Vail.